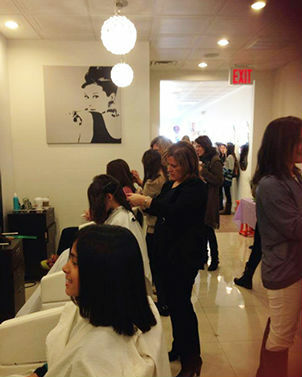 Mondays with Soul Ryeders is a program held on the first Monday of each month at Beauty Bar Salon in Port Chester, New York, which enables women undergoing cancer treatment to receive complimentary salon services and emotional support. Appointments are scheduled between 10am - 2pm on the first Monday of every month. Interested women from the Tri-state area can call or email Soul Ryeders to learn more about the program and/or to schedule an appointment. Soul Ryeders will provide a medical clearance form, which must be signed by the client's doctor prior to arrival for their first Mondays with Soul Ryeders appointment. Ample Free parking is available at the salon and public transportation is accessible nearby. Mondays with Soul Ryeders is modeled after Mondays at Racine (www.mondaysatracine.org) in Islip, NY. It is funded and run by Soul Ryeders' supporters and volunteers in collaboration with Beauty Bar & Salon. Soul Ryeders is a volunteer-driven charitable organization that provides and supports cancer-related programs in Westchester County, New York. The organization founded and runs The Wig Exchange, a program which provides women undergoing chemotherapy with high quality wigs and practical tips for managing the issues surrounding cancer-related hair loss. 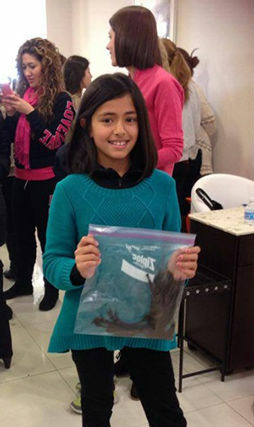 At Strand Together events, individuals donate a minimum of 6 inches of their hair. After it’s professionally cleaned, the hair is used to create a special kind of wig called a Hip Hat with Hair. Hip Hats with Hair have ‘under hair’ which is attached to a soft piece of fabric that covers the top of the head and then any kind of hat can be worn on top of it. These Hip Hats with Hair offer a comfortable, chic, and versatile alternative to a full wig. Sole Ryeders offers these unique wigs to clients of The Wig Exchange, a program that Sole Ryeders created which provides women undergoing chemotherapy with high quality wigs and practical trips for managing the issues surrounding cancer-related hair loss. Each Strand Together hair donor is able to bring a friend or family member to this special haircut. The guest helps by putting rubber bands in place and making the first ceremonial cut. Hair donors write personal cards to the women who ultimately receive the wigs made with their hair.